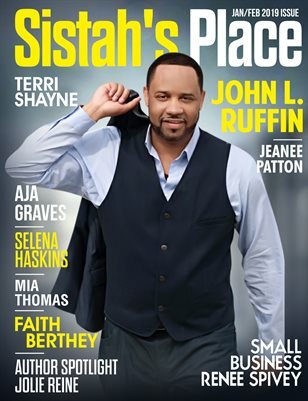 Check out the newest magazine issue by Sistah’s Place Magazine celebrating Women’s History Month. While you are here, be sure to click the Blog Article tab where you can first two chapters of my novella Deceitful Secrets which is available now on Amazon. You can read poetry, inspirations, and my deep thoughts. Writing my first novels series on relationships entangled with drama, romance, deceit, love, and relationship issues that are relatable and realistic. I have published my first novella in the Deceitful Series titled Deceitful Secrets on October 23, 2017. My first journey as an writer has been long and insightful experience that will make me better for the next novella in the series. Letrise Carter has allowed her creativity to meet her wildest imagination to bring your stories that will make you laugh, cry, and even get made at certain characters. Step into the mind of Letrise as she takes you on a journey into her creative storytelling. Her debut novella is Deceitful Secrets is drama and suspense with a few plot twist to keep you on your toes.– Meet Taylor Jackson who is married to Devin Jackson. Taylor and Kelly have a past that Devin knows nothing about. Step into the world of the Jacksons as the drama unfolds and the secrets revealed along a journey of blackmail, scandal, and deceit waves it’s ugly head into the present. One man holds the key to either destroying or saving a family. What will happen when Devin finds out about Taylor’s past? Read the first two chapters on the blog page. What are the readers saying? Have You subscribed to my author E-blast newsletter?